Velocity was tested in out shop at 650 fps with lead pellets. Shoots hard. 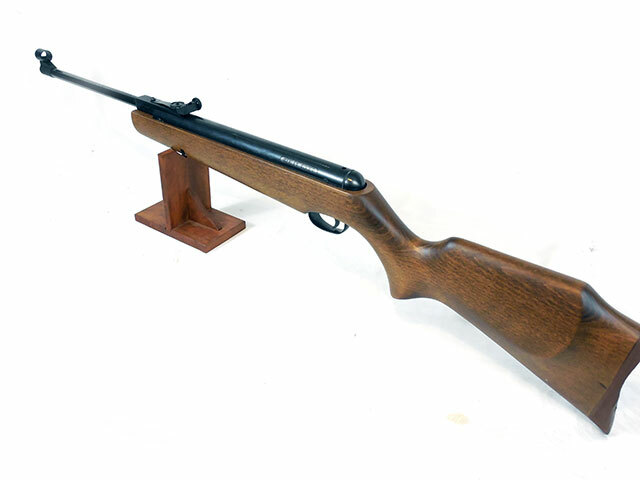 The condition of this gun is near mint. 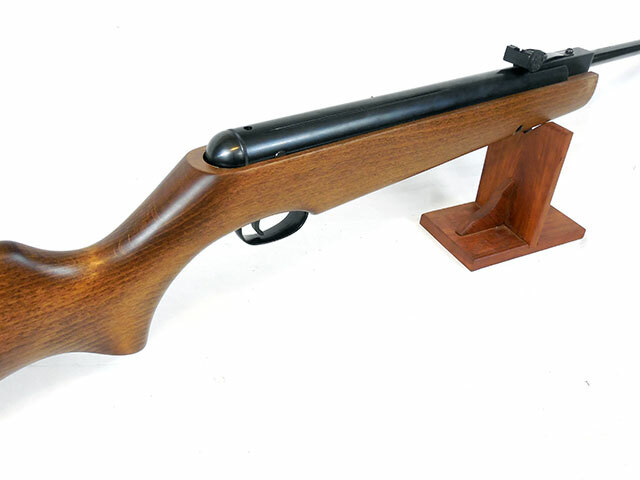 I small ding on the stock was all I found. 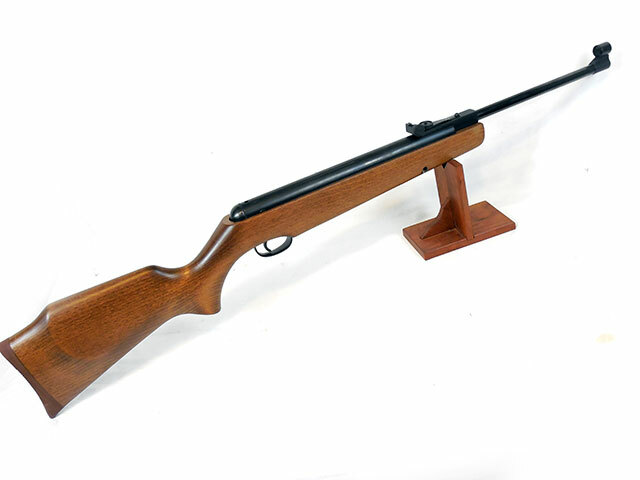 Very high quality air rifle. 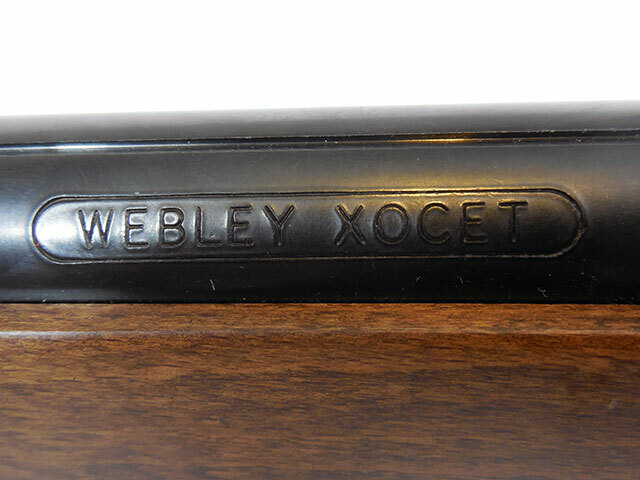 Just what you would expect from a famous company like Webley & Scott who have been making firearms and air rifles or many years. 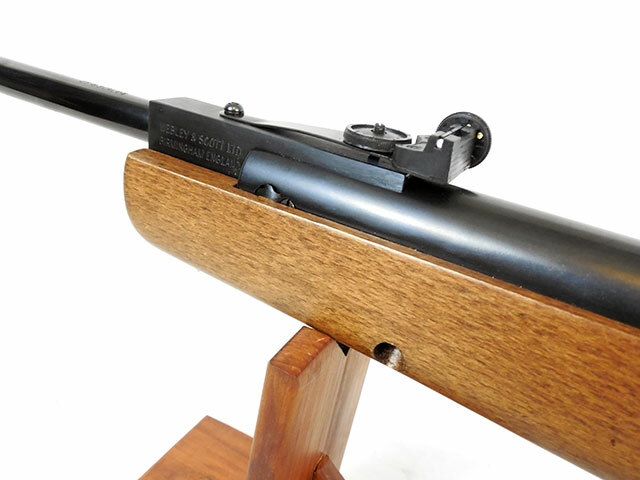 This is beautiful air rifle in a hard to find caliber.